Worship, for the Orthodox Church, is nothing else than 'heaven on earth.' The Divine Liturgy is something that embraces two worlds at once; both in heaven and on earth the Liturgy is one and the same - one altar, one sacrifice, one presence. In every place of worship, however humble its outward appearance, as the faithful gather to celebrate the Divine Liturgy, they are taken up into the 'heavenly places;' in every place of worship where the Holy Sacrifice is offered, not merely the local congregation are present, but the Church universal - the saints, the angels, the Mother of God, and Christ himself. 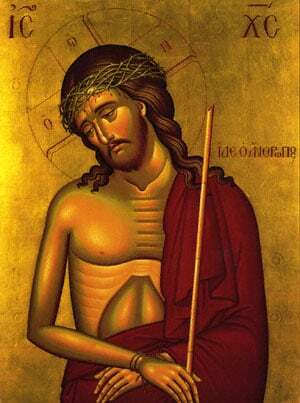 Orthodox Christians are members of the Church founded by Christ. The Orthodox Church is ONE - with the unity of God Himself, Father, Son and Holy Spirit; HOLY - with the holiness of the Most Holy Trinity; CATHOLIC - living the fullness of divine truth and embracing all faithful Christians of all times and places; and APOSTOLIC - tracing doctrine, traditions and authority to the original Apostles. Orthodox Christians belong to their own churches, each headed by patriarchs, archbishops and bishops. The Orthodox Church is a worldwide community of people who are called to worship Christ as Lord and Savior through the Liturgy, Sacraments and Sacred Scripture and to serve and love others through good works and prayer, as Christ commanded. The history of the Orthodox Church begins with Pentecost, when the Descent of the Holy Spirit upon the Apostles gave birth to the Church. During the early period of Christianity, St. Paul spread the gospel throughout the east. In 313 A.D. Christianity was legalized by Roman emperor Constantine. In 330, Constantine moved the capital of the Roman empire to Constantinople. It has been the official center of Orthodoxy for over 17 centuries. Remembering the admonition to "pray without ceasing" (1 Thessalonians 5:17) the Church Fathers established different Services. They are used throughout the Ecclesiastical Year and are divided into three cycles: the daily cycle, the weekly cycle and the yearly cycle. In the daily cycle we begin with Vespers which is a service traditionally held at sundown to thank God for His mercy during the day and to ask for his blessing for the coming night. Second is Compline, a service read before going to sleep. Psalms and petitions are recited during the Compline as well as prayers to God asking for forgiveness and prayers to Christ through the Theotokos asking for protection. Monasteries even have another prayer service held at midnight. The theme of this service urges the believer to 'watch and pray' for their spiritual welfare and for their communion with Christ, who will come unexpectedly to judge the world. The Matins or Orthros service is read and chanted in the morning prior to the Divine Liturgy. It consists of psalms, petitions and specific hymns pertaining to the celebration of the day. The daily prayer cycle is further sub-divided with the inclusion of other services called "Hours" or "Ores" in Greek. They are held at sunrise, 9:00 am, 12 noon, and 3:00 pm, which are the third, sixth and ninth hours, respectively. These times were designated because they represent the times when: Christ was brought to the Crucifixion; the time of the Crucifixion; and the time when Christ died and gave up His spirit. The Hours also consist of psalms, prayers and a special hymn on the meaning of each hour. Each day of the week has its own significance and special prayers and hymns. Prayers and hymns are recited and chanted pertaining to the commemoration of each day. The weekly cycle of worship is as follows: Sunday is the recurring Paschal celebration of the Resurrection; On Monday we commemorate the Angels; On Tuesday, St. John the Baptist and Forerunner; On Wednesday, the Cross and the Theotokos; On Thursday, the Holy Apostles and St. Nicholas and the Last Supper; On Friday, the day of preparation, the Cross and the Theotokos; and on Saturday, the day of rest, we commemorate the Martyrs and the Dead. Pascha - Christ's Resurrection is not included in the twelve major feast days because it is considered the Highest of all Holidays. Although Orthodox Services can often be very elaborate, lengthy and solemn, they express a deep and pervasive sense of inner joy and spirituality. These services are not limited to prayers, hymns and scriptural readings, there is action required of both the celebrant and the worshippers. The corporate aspect of worship and of community does not undermine the personal faith and commitment of each believer. There is an essential duality in Christian existence. Christianity stands by personal faith and commitment, and yet Christian existence is intrinsically corporate: to be Christian means to be in the Community, in the Church and of the Church.